So the question becomes how to thread the needle. How can trade keep flowing freely — which requires that the European Union and the United Kingdom have pretty much the same rules and standards — after Brexit when the point of leaving is for the United Kingdom to establish rules and standards independently of the European Union? That remains to be seen. But one possible avenue is a mechanism established under Strand 2 of the Good Friday Agreement, which ended decades of violence and subsequent accords. 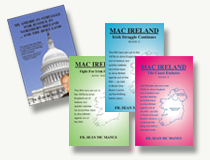 These delineate areas — energy, agriculture, food safety and transport, among them — where the two sides can make special rules that apply only to Ireland, north, and south. Perhaps, they can build on these and agree on a plan for “mutually recognized rules” along the lines of what they already have.